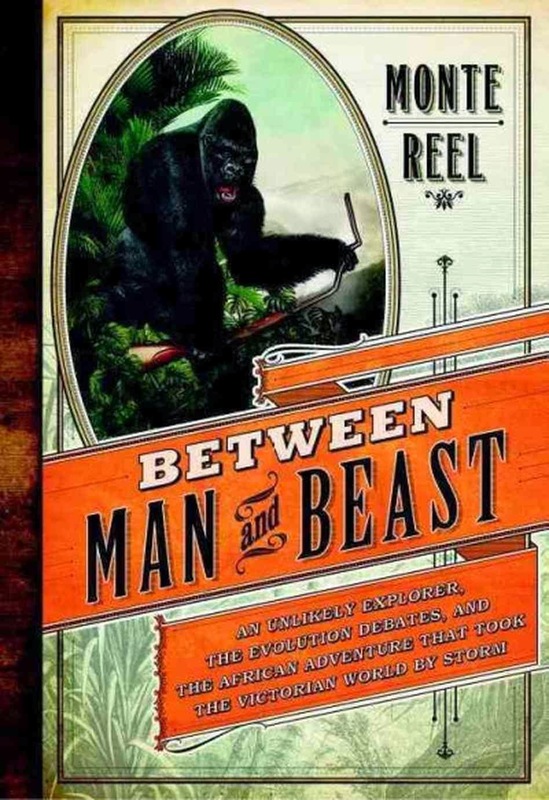 Between Man & Beast by Monte Reel was a near perfect non-fiction reading experience for me. It hit on most of my major appeals as a non-fiction reader: intriguing, sympathetic characters; compelling social history, tension building story lines; and fascinating natural history. Monte Reel easily achieved all of this for me. 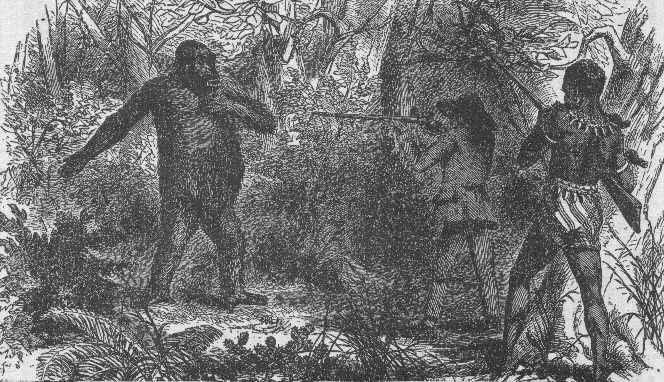 It is the story of Paul du Chaillu, an Victorian era explorer who was the first Westerner to bring back specimens of gorillas to the US and England. Du Chaillu was a enigmatic individual, rather hard to pin down in terms of his background and motivations, which could be a real barrier to success in the times. Nevertheless, he became both a darling and villain of Victorian London. The amount of nasty back stabbing among society's social and scientific elite was brutal. Apparently, libelous statements were able to be bandied about with reckless abandon. And I must say that the level of evident racism was extremely shocking. This was also the time that Darwin's theory of evolution was being hotly contested. And of course, Du Chaillu's gorillas were often drawn into this emotional debate by all sides. Equally fascinating was the impact of gorillas in Victorian London. It became a huge fad, with everyone trying to capitalise on the excitement. People lined up for hours to see the specimens, theatre productions rushed to create new plays featuring gorillas, political cartoonists in particular loved using gorillas as caricatures. Images and stories of gorillas were everywhere. I guess you could say it went viral. However, the life story of Paul du Chaillu was the real star attraction of the book. He was obviously a very driven, brilliant, and capable explorer. He desperately wanted to be accepted as a member of society's elite, both academically and socially. He work ethic was astounding. The travails of his explorations would have defeated many of a lesser explorer. So to have his exploits and achievements dismissed and ridiculed by competitors who had never been to Africa must of been devastating to him. His ongoing battles for recognition, including planning a second expedition, are the part of the story where the the readers discovers just how petty and self-serving many the scientific and societal elite of the time could behave. Nasty business indeed, but rather entertaining for the reader. I feel that Between Man & Beast would be a good reading suggestion for fans of Simon Winchester and Erik Larson.